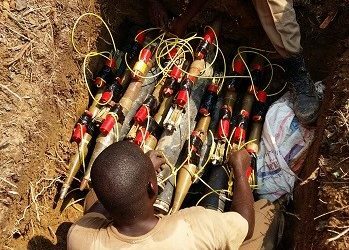 Our three Multi-Task Teams began operating in the Democratic Republic of Congo in July 2016 and have been clearing areas of hazardous, unserviceable or obsolete stockpiled munitions since. Working in this industry rarely results in a dull day. 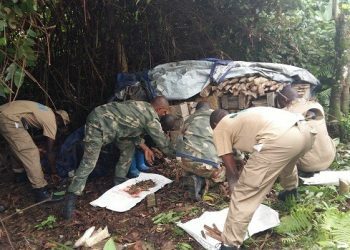 Team Two, based in Goma, DRC, got off to a quick start after mobilisation taking on their first task in early July assisting with stockpile destruction for the Armed Forces of the Democratic Republic of Congo (FARDC). 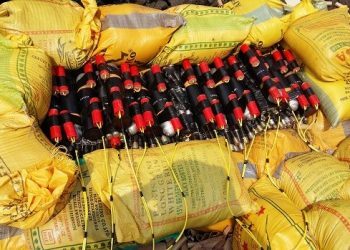 This entailed the safe demolition of 5,000 assorted items of ordnance including UXO and stockpiled munitions and the incineration of 20,000 assorted Small Arms Ammunition (SAA). 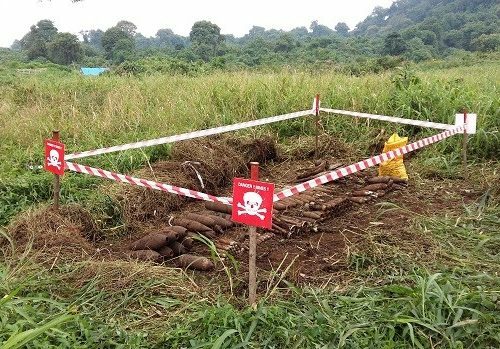 The Team then moved on to the Village of Chanzu, where two older stockpiles were located in the Albert National Park, posing a risk to civilians and animals alike. 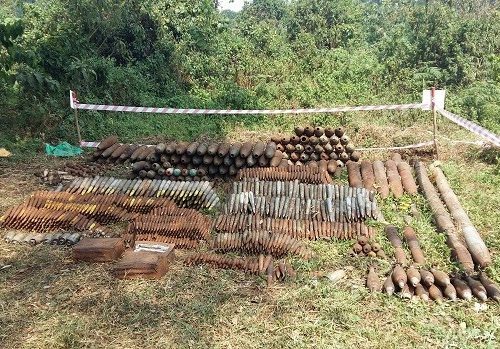 With assistance from the FARDC and the Rangers from the ICCN (Institut Congolais pour la Conservation de la Nature) two lots consisting of around 5,000 assorted ordnance items and around 1,800 assorted Small Arms Ammunition were systematically destroyed. 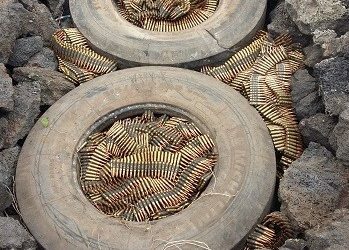 The team’s next task had them move to the Town of Walikali to assist the FARDC in the destruction of their stockpiles of obsolete munitions. 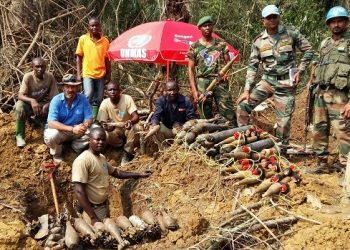 The Team is pictured below with members of the local FARDC and Indian Battalion setting up demolitions that destroyed 1,400 assorted UXOs and 2,000 assorted SAA. This was completed over four days. 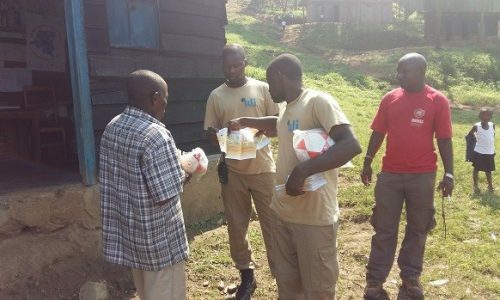 During the month of October, Team Two visited an area known as Masisi to conduct Non-Technical Survey (NTS) and Explosive Ordnance Disposal (EOD). They quickly noticed that the residents of this area had little knowledge as to the strange activities of the team. This gave Team Two the opportunity to conduct a demonstration with two demolitions, destroying items that had been handed over, which attracted a lot of attention. The team were able to use this gathering of villagers (many of them children) to conduct Mine Risk Education on a large scale and warn the community of the inherent dangers of mines and unexploded ordnance, a key element to keeping civilians safe in post-conflict environments. 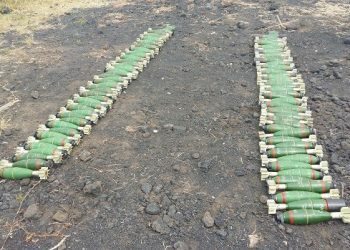 The three teams have had a busy four months collectively destroying over 20,000 items of ordnance including UXO and 200,000 pieces of SAA. 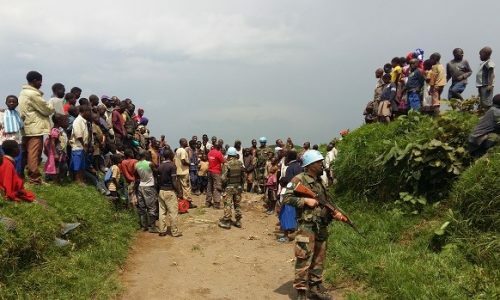 “We are proud of the progress that has been made thus far in protecting civilians and removing dangerous hazards in the DRC. This is a challenging environment to work in and the teams are doing well” commented TDI MD, Hugh Morris.